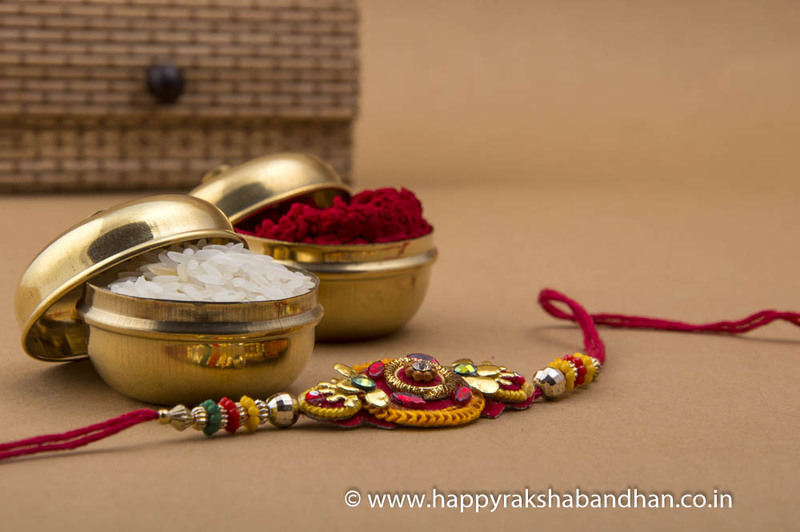 When is Raksha Bandhan [Rakhi] in 2018? When is Raksha Bandhan or Rakhi: Rakshabandhan is celebrated in August on full moon day of the Shravana month of Hindu calendar Shravan Purnima day, every year. 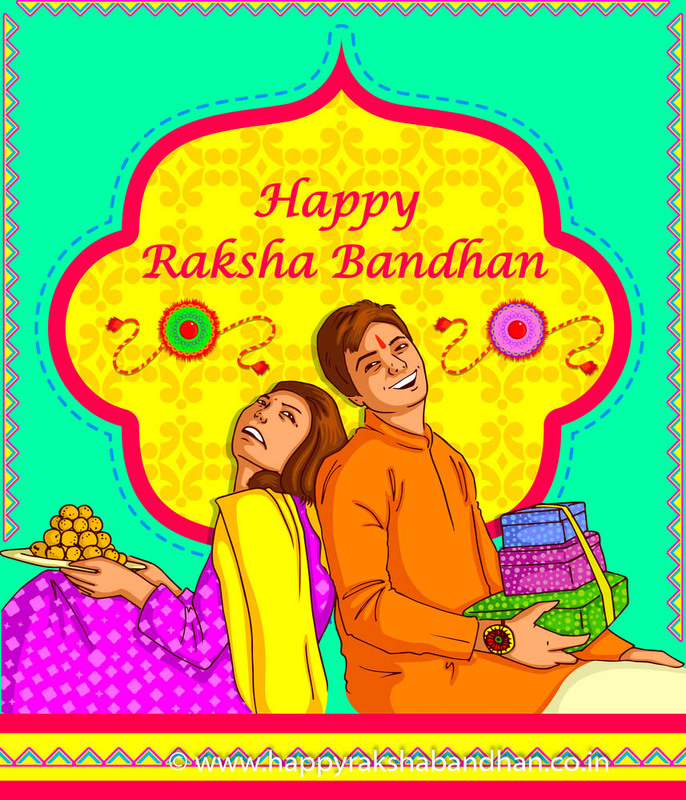 Raksha Bandhan is on 26th August 2018. Raksha Bandhan is generally celebrated in the month of Shravan according to Hindu calendar. 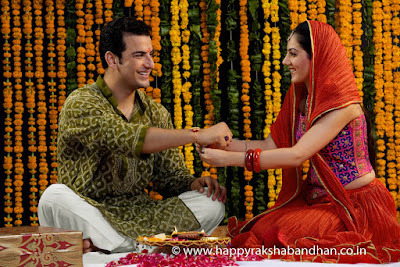 Raksha Bandhan is obviously them, most important festival of India. It brings a great excitement and enthusiasm to the Indian people. Raksha Bandhan is simply indicated pure love and feelings of brotherhood. 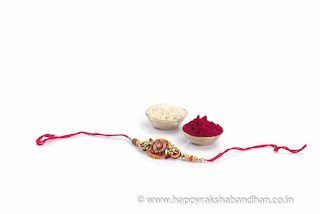 A simple red thread or a colorfully decorated Rakhi, on a man's wrist on the Indian festival of Raksha Bandhan, can mean only one thing - that he has a sister who loves and cares for him and that he in turn has promised to protect her. Note: The dates may vary every year. The Indian festival of Raksha Bandhan or Rakhi is celebrated every year on the auspicious day of Shravan Purnima, in the month of August. 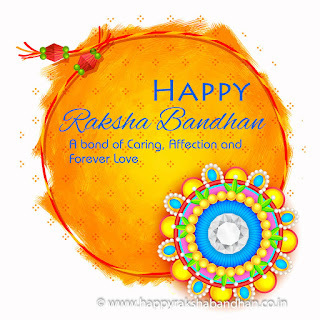 The rakhi that a sister ties around her brother's wrist are a symbol of their sibling relationship and affection for one another. 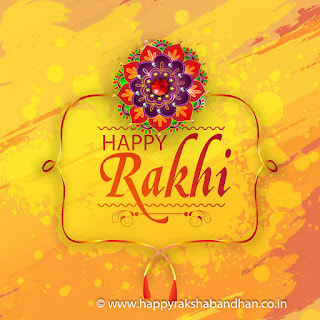 This special relationship is celebrated with festivities, beautiful rakhis and an exchange of gifts, but the best gift of all is the love that brothers and sisters share every day, and especially on the festival of Rakhi (Raksha Bandhan). Raksha Bandhan or Rakhi is a traditional festival that is celebrated by Indians worldwide. 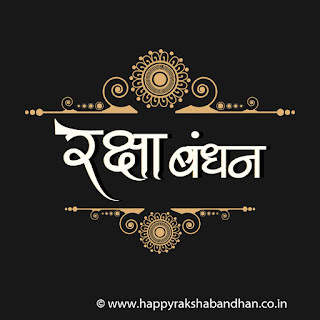 It is celebrated in August on Shravan Purnima day, every year. 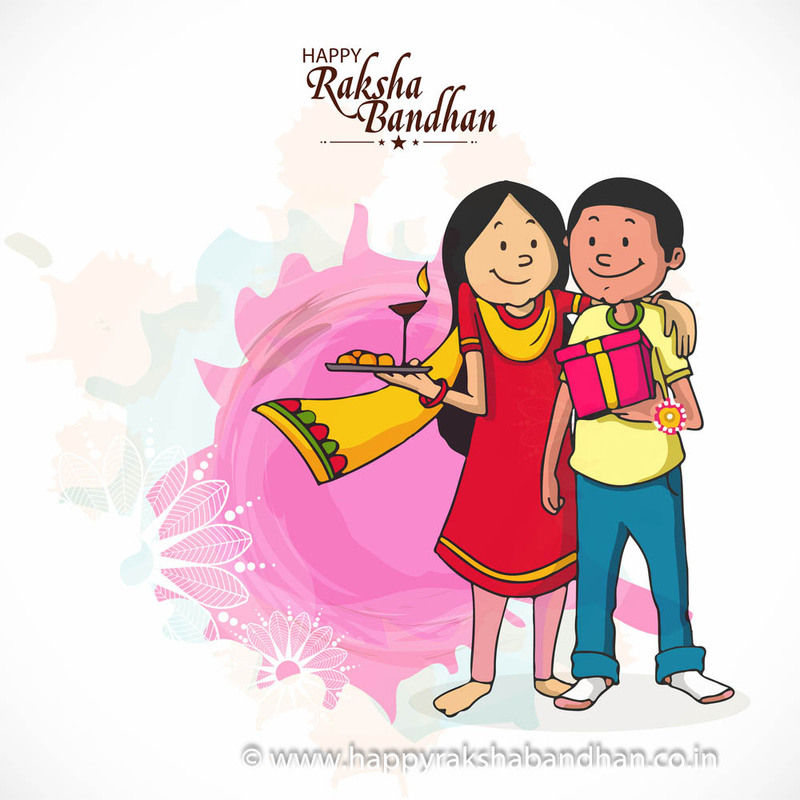 Families come together on this special day or Raksha Bandhan as brothers and sisters reaffirm their relationship. The sister ties a thread or decorated band around her brother's wrist. This is accompanied by rituals, an exchange of gifts and the reaffirmation of a pledge by brothers, to protect their sisters at all times. Indra: According to legend Indra found himself being defeated by the demon king or Daitya Raja. On the advice of his guru Brihaspati, his consort tied a Raksha on Indra's wrist and this helped him achieve victory against the demon king. Yudhishtra: The eldest of the Pandavas areccc believed to have asked Krishna, how to protect himself, before the epic battle of the Mahabharata. 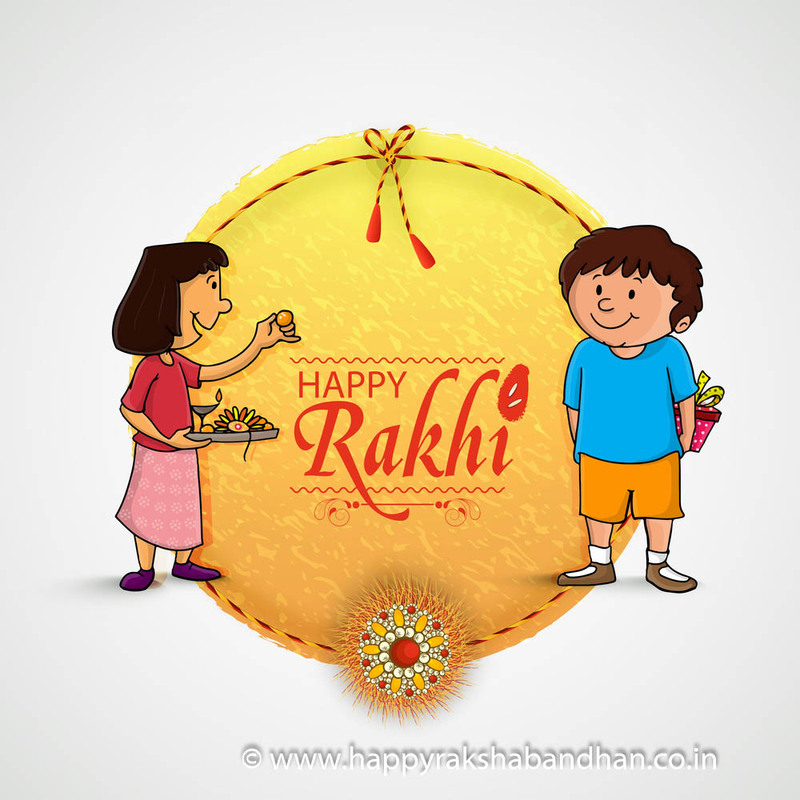 Lord Krishna instructed him that he would be protected by the beneficial power of the rakhi. Alexander: When Alexander invaded the Indian subcontinent in 326 B.C. he had to fight many battles against the rulers of kingdoms in the North West. Alexander's wife is believed to have tied a rakhi to the king Puru or Porus. In return, he is believed to have promised to protect her and her husband. In battle when he had the opportunity to strike Alexander, his promise is believed to have restrained him from delivering a fatal blow. Humayun: During Mughal times the custom of tying Rakhis helped bind the Hindu Rajputs and the Mughal rulers of Delhi together. According to legend, when Bahadur Shah of Gujarat attacked Rani Karnavati of Chittor, she sent a rakhi to Humayun and requested him to help. He tried to come to her aid but was too late, Chittor had already fallen and the Rani had immolated herself in the Rajput custom of Jauhar. 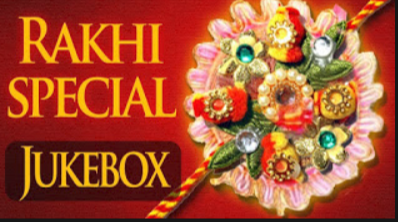 In present-day times, women have used the tradition of Rakhi as a way of deflecting unwanted attention and some women politicians have maintained political relationships with other leaders, by tying rakhis on them. 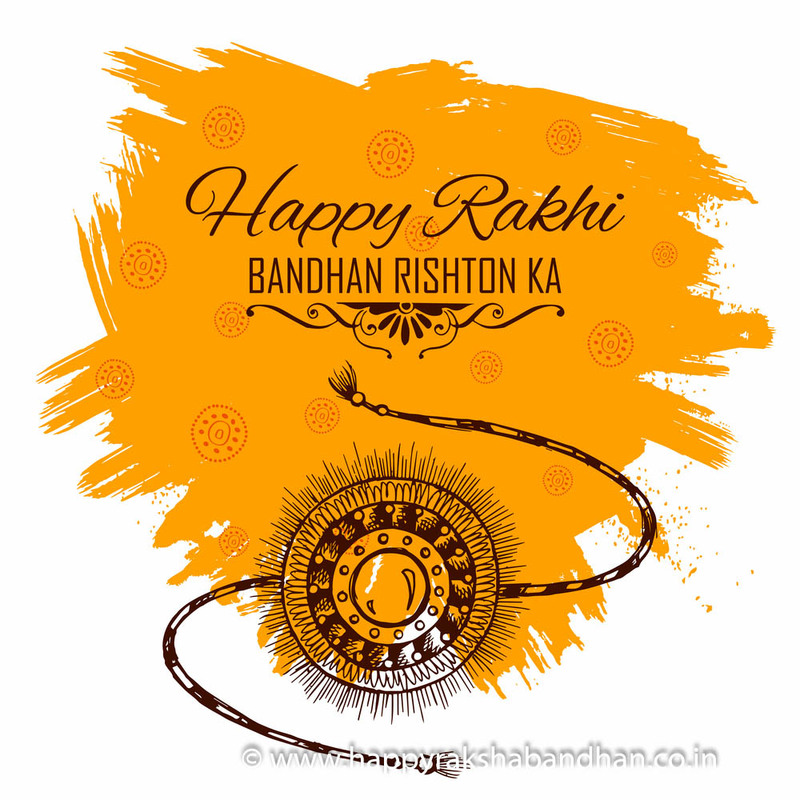 The different ways, in which the custom of rakhi is followed today, shows the continued relevance of Raksha Bandhan in today's world. 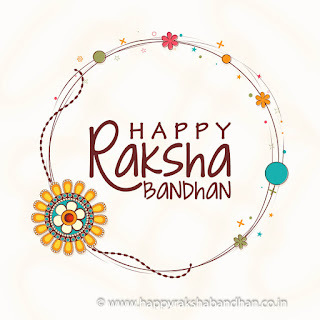 The fond relationship between brothers and sisters is reaffirmed by the shared emotion and promises made by siblings, on the Indian festival of Rakhi Bandhan or Rakhi. 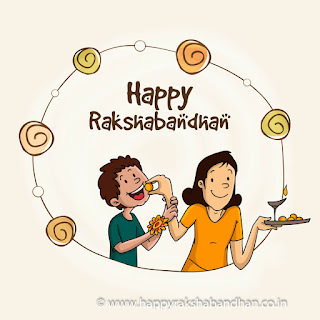 Every year in August, the auspicious day of Shravan Purnima, or full moon day in the month of Shravan according to the Hindu calendar, is celebrated as the festival of Raksha Bandhan. 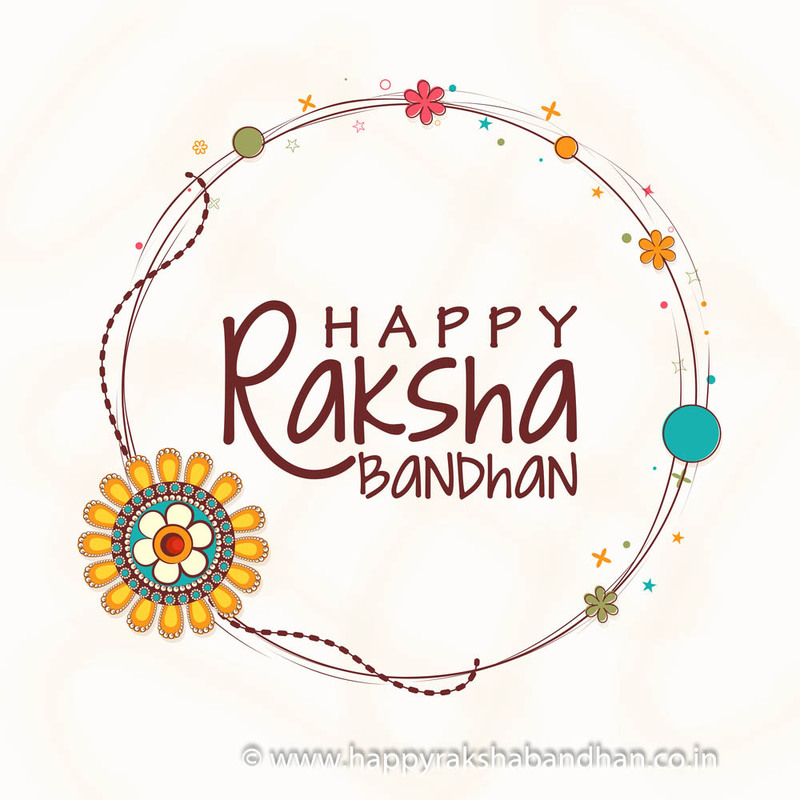 This year Raksha Bandhan is on August 26th, 2018. 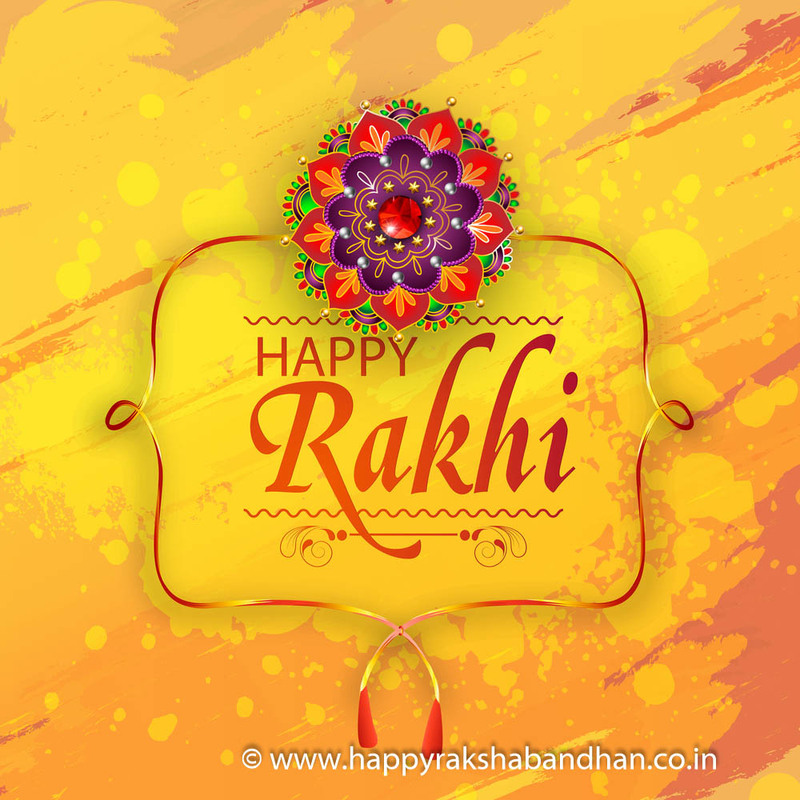 Apart from prayers and distributing sweets, which occur in all Hindu festivals, there is a special ritual that takes place during Rakhi. Sisters tie a red thread or nowadays more ornately decorated bracelets, around the wrists of their brothers. This thread symbolizes the affectionate sibling relationship between them. 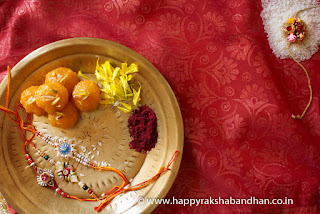 While tying the rakhi sisters chant the following Sanskrit lines. 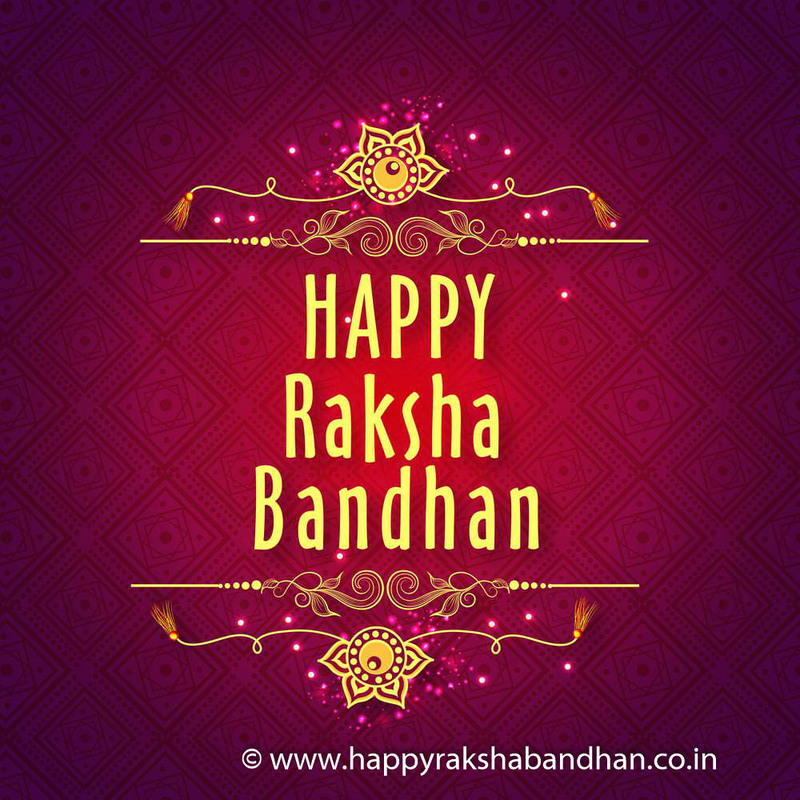 The meaning of these lines is as follows, "I am tying a Raksha to you; similar to the one tied to Bali, the powerful and generous king. Oh, Raksha, be firm, do not go away, do not go away." 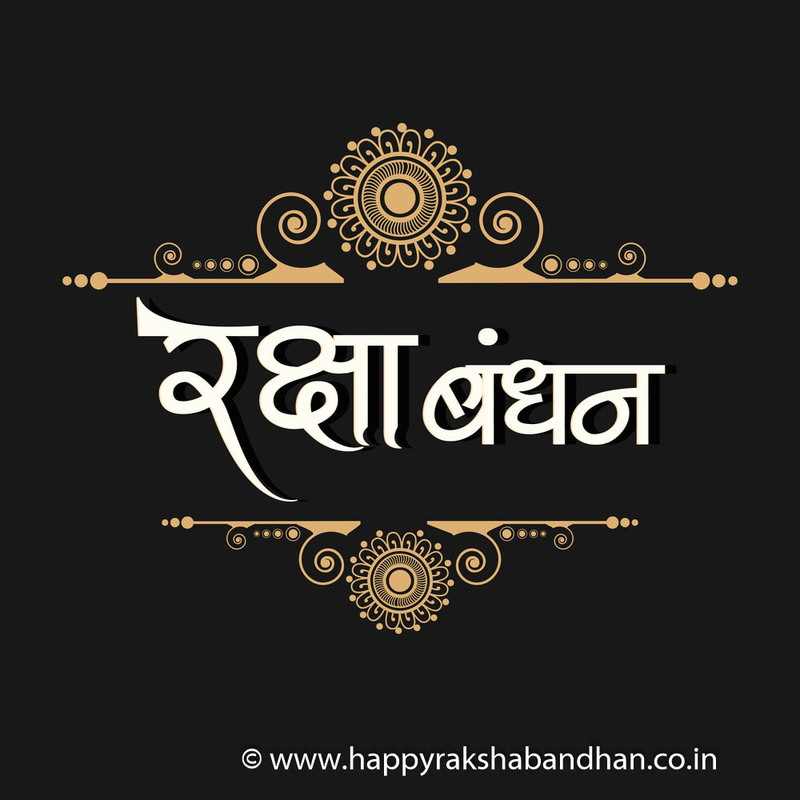 The auspicious words said by the sister are in memory of the demon King Bali, who was said to gain power when he wore a Raksha. This is supposed to protect the wearer from negative influences. 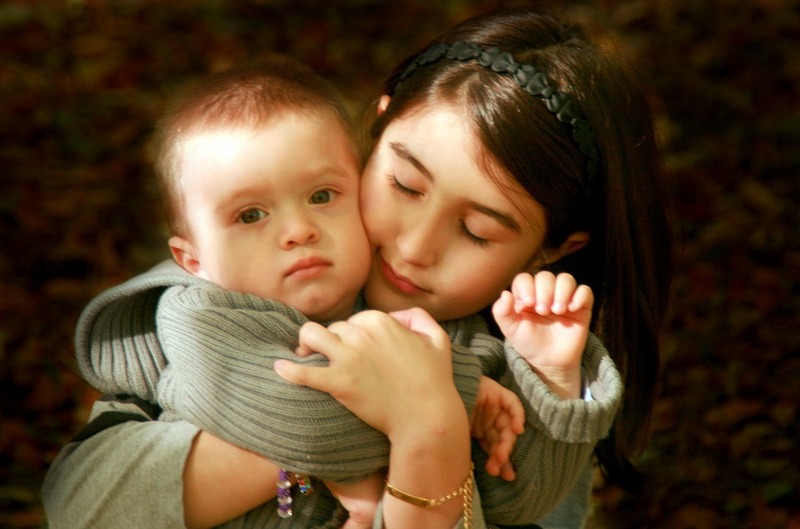 The brother, in turn, promises to look after his sister and protect her from any harm that may come to her. 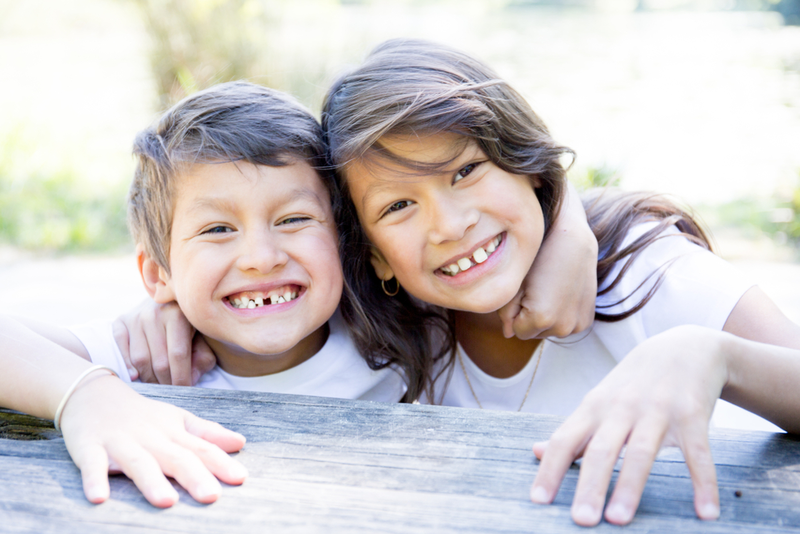 Thus the bond between brother and sister is reaffirmed. Her rakhi strengthens him and he, in turn, promises to use his strength to protect her. 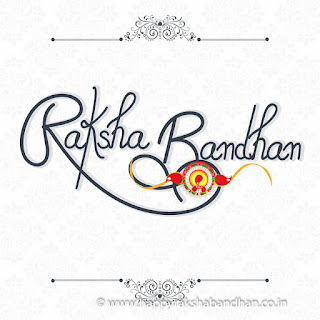 Raksha Bandhan is celebrated in various ways in different parts of India. While observed in a similar manner across most of North India, other regions of India celebrate this festival in their own unique ways. 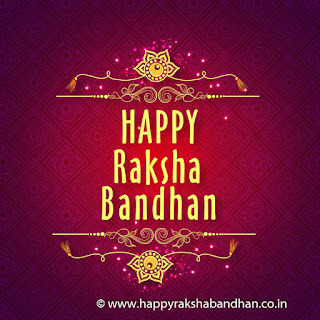 In Maharashtra and its capital city Mumbai, Raksha Bandhan Day is celebrated as Narial Purnima or Coconut Full Moon day. Coconuts are offered to the Varuna the Sea God, as a form of worship. In South India, this auspicious day is celebrated as Avani Avittam. 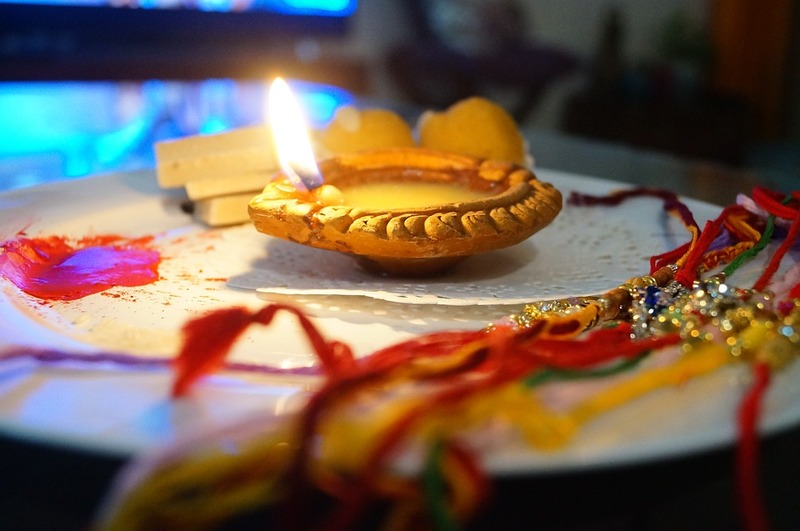 Brahmins wear a new sacred thread, recite the Vedas and make an offering to their teachers and holy men. 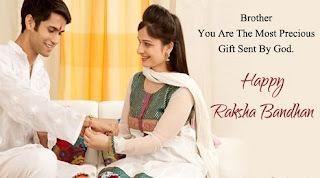 Raksha Bandhan celebrates the purest and noblest emotions in the human psyche-the supportive and familial bond of love between brothers and sisters. The Rakhi given by the sister to the brother on this day symbolizes their sibling attachment. 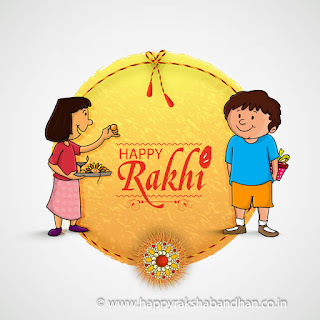 However, the sister-brother relationship symbolized by the Rakhi represents more than the immediate ties of brothers and sisters. It also represents the shared connections of a harmonious and intertwined social order where everyone in society considers themselves brothers and sisters, united by shared bonds of love.